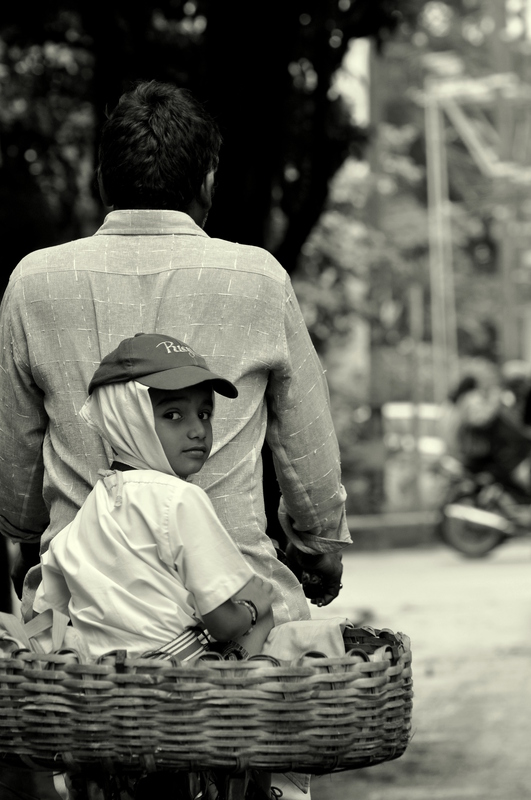 A kid sits on a cycle as his father takes him to school on a cold Bangalore morning. Cute Stuff! Nice pic..!! and I envy the kid… we used to have really uncomfortable backseat on cycle! wow this is lovely! Perfect timing!